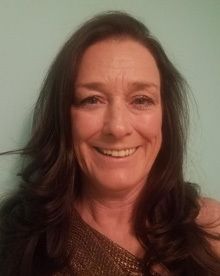 Dr. Patricia Breen is a highly qualified dentist with over 24 years of experience, striving to offer exceptional comprehensive dental care to her patients in her state-of-the-art practice. Dr. Breen is a strong believer in the value of continued education, and has completed advanced educational training in implant and prosthetic dentistry, oral surgery, orthodontics, Invisalign, and care for the developmentally disabled. Dr. Breen attended the State University of New York at Stonybrook and received her Bachelor of Science in 1990. She received her licensed practical nursing degree upon completing high school. Dr. Breen completed her Doctor of Dental Medicine degree at Boston University in 1995. 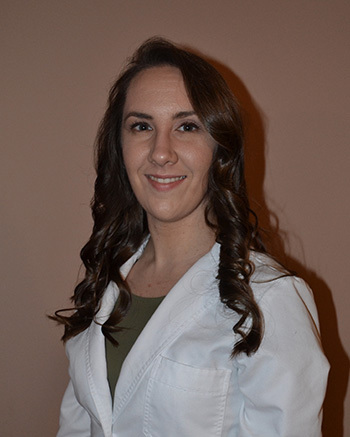 Highly motivated to continue her education and provide the best care possible for her patients, Dr. Breen completed her first year of a general practice residency at Catholic Medical Center of Brooklyn and Queens, where she focused on honing her skills pertaining to trauma and dental oral surgery. She later completed a second general dentistry residency at the University Hospital at Stony Brook, where she received emphasized training related to implant and prosthetic dentistry. Dr. Breen has also completed a postgraduate fellowship in the Care for Developmentally Disabled at Stony Brook School of Dental Medicine. Excited to share her knowledge and passion for dentistry with others, Dr. Breen has served as an assistant attending faculty member at North Shore University Hospital and Long Island Jewish Medical Center. Dr. Breen and her staff are proud of the warm, patient-friendly environment they have created the office. Most importantly, Dr. Breen values the lifelong relationships they have built with multi-generational families in the area. She welcomes patients of all ages and looks forward to meeting you and offering you the professional, caring, and pain-free oral health care that you deserve. When she is not in the office, Dr. Breen enjoys cooking, traveling, and spending time with her family, friends, and her dog, Finnegan. Elyse Patrella is a graduate of New York University College of Dentistry. Looking for a change of scenery, she completed a general residency in Bangor, Maine. 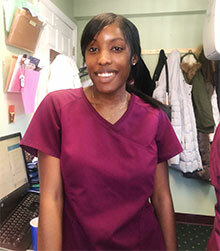 A Long Island native, she returned to pursue a career in private practice. She is an active member of the Nassau County Dental Society and continues to take courses to further her knowledge in the field of dentistry. In her spare time, Dr Patrella enjoys running and crocheting. I started working for Hills Park Dental in 2012. I actually started as Dr. Breen’s Dental Assistant. I had become a registered Dental assistant years early, but never actually used my skills, While speaking with Dr Breen, I found the position had opened up, I eagerly jumped at the opportunity. As time went on I began to familiarize with the reception area, and now find myself running the office. When not working, I enjoy the outdoors so you will find me walking the beach or woods with my husband. I have 2 grown children that I am very proud of. My daughter Danielle is an X-ray technologist and still continuing her education at Stony Brook University. My son PJ just started college at Suffolk Community and is looking into law enforcement. Fran Stavros graduated from the dental hygiene program at SUNY Farmingdale in 1997. She has been employed by Hills Park Dental since 2005. 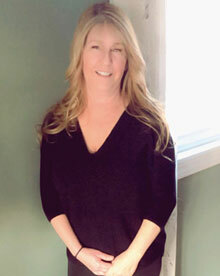 Fran enjoys working with the patients who come to our office and providing them with care and hygiene. 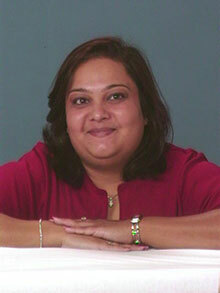 Ankita Patel is a licensed dental hygienist for the past 11 years and graduated from SUNY Farmingdale. Ankita is currently certified to administer nitrous oxide, local anesthesia, CPR and laser dentistry. Ankita’s been working in the dental field since she was 18 years old. 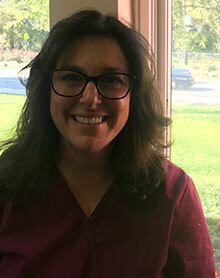 As a hygienist, she enjoys working one on one with her patients, educating patients about oral health and proper home care techniques. She started as a dental assistant where she quickly became passionate about dentistry. Her passion inspired her to further her education by becoming a Dental Hygienist. She is involved with multiple dental hygiene study groups in order to stay current in the field. Ankita is quick to make patients feel at ease by building confidence, trust, and friendship with each patient. Her beautiful smile and understanding nature make it easy for patients to feel comfortable. She is extremely devoted to educating patients about their individual needs. In her spare time, she enjoys Reading, Swimming and spending time with her family. Jackie’s career in the dental field started when she was a dental school student for year in her home country. She has been a certified dental assistant since October of 2016. When she is not in her dental assisting uniform she participates in a volunteer work done all over the world as part of her ministry. She is also a volunteer for disaster relief. In her free time, she likes to paint or learn a new song on the accordion. She loves to smile, keep a positive attitude, meet new people, and help others. As our Practice Manager, Doreen Genuinely enjoys creating an outstanding working atmosphere that provides exceptional care to our patients. 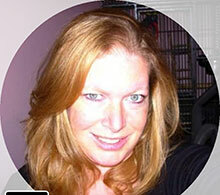 She has also been working on making marketing and social media improvements to our practice. Following her graduation from Half Hollow Hills High School East, she continued her education at Farmingdale State College then on to Wilson Tech for Medical Billing and Coding. Her 23 years of industry experience allows her to provide our office with strong infrastructure it needs to succeed and excel in patient care. 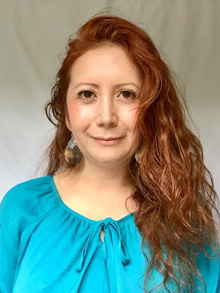 She enjoys spending time with her husband and children taking mini vacations to beautiful mountain retreats, Fishing and Camping and exploring the outdoors. In her spare time she Loves a Great Bingo Game and will travel to find them. She loves children and animals. She has volunteered for over 8 years with a local Not for Profit organization called H2 Empower helping raise money for libraries and schools in Hosanna, Ethiopia in Africa. 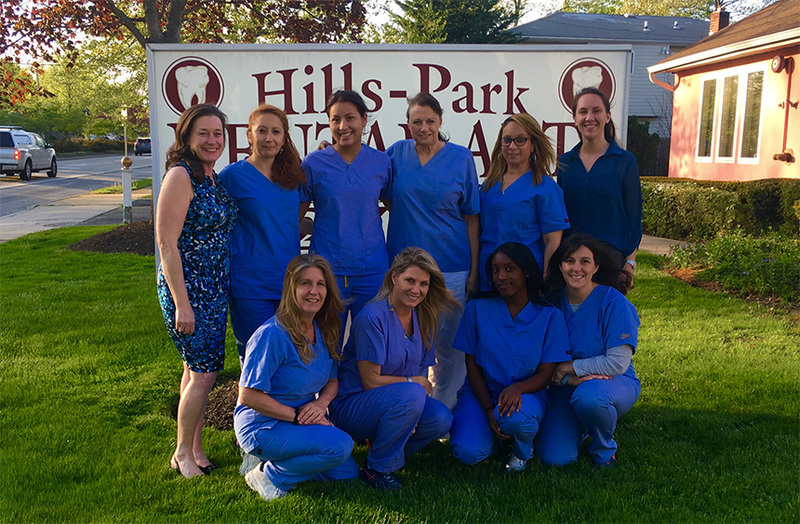 When you come to Hills Park Dental, you will see that our team is full with positive energy; that will create a comfortable place for our patients. My name is Danielle and I love being a dental assistant, I	love being able to help better and maintain someone’s oral health. When I’m not at work I’m mostly with my family sharing quality time with them or attending college.